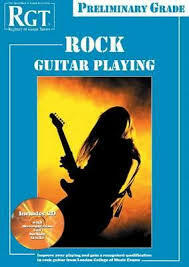 Much rock guitar lead playing is often based on pentatonic minor or blues scales, and often the major scale is thought of as only being suitable for pop music. But, as this excerpt from Living Legend (one of the pieces set for the RGT Preliminary Grade rock guitar exam) demonstrates, the major scale can be effectively used in rock guitar instrumentals as well. Using the major scale naturally emphasizes the melodic aspects of the music, and can provide an interesting contrast to the more usual minor or blues based rock. The guitar leadline in Living Legend is taken entirely from the one octave open position G major scale, and all the notes can be found on the first three frets of the top three strings. Each short phrase ends with a long note, so make sure that this is held for its full length. Listen to the audio examples provided below to hear how the piece should sound, and take particular care to get the timing of the guitar lead line right. 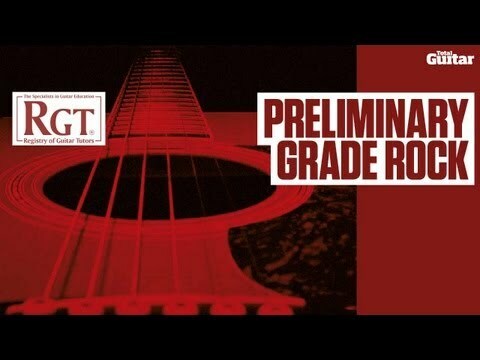 You can also click here to purchase the RGT Preliminary Grade Rock Exam book, which contains the full music to ‘Living Legend,’ as well as all of the other musical requirements for this exam. As well as studying the video lesson below, here are two audio tracks that you can work with when going over ‘Living Legend’ further in the practice room. Try starting with the full track for ‘Living Legend,’ working up to the point where you can jam along to these practice track with confidence. Once you can play along with the full track accurately, try to play along with the backing track for ‘Living Legend’ only, so that you can learn how to play the entire song without the help of the guide guitar track. Here are both of these audio tracks for ‘Living Legend’ to check out and use when working on this song in the practice room. To find out more about the ‘Living Legend,’ and the RGT Rock Preliminary Exam, please download the RGT Rock Guitar Exam Information Booklet. You can also check out the Rock Guitar Preliminary Exam Book, which comes with a CD and contains notation and recordings of all the exam pieces, as well as diagrams for all of the chords and scales that the pieces are based on. Not a Registered RGT Teacher yet? Visit the Join the RGT Page to find out the great benefits that membership has to offer. This entry was posted in Rock Guitar Video Lessons and tagged RGT Preliminary Rock by Alan. Bookmark the permalink.